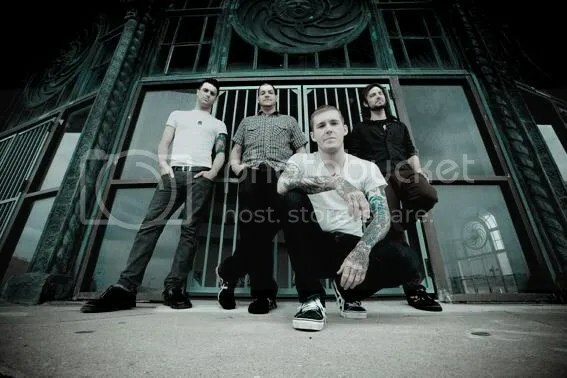 “American Slang” is the title track to The Gaslight Anthem’s third album, due to be released in June of this year. These New Jersey boys have found the formula for producing a sound that you could expect if Bruce Springsteen fronted a punk rock band. Upbeat rock and roll with heartfelt, slightly ragged vocals and catchy melodies. I’m a big fan of The Gaslight Anthem and this single shows that we can continue to expect good things from this band. I’m sure they’re only going to get bigger and bigger – how could a band this awesome not? This entry was posted on April 3, 2010 at 12:00 pm and filed under TheSlacker. You can follow any responses to this entry through the RSS feed.